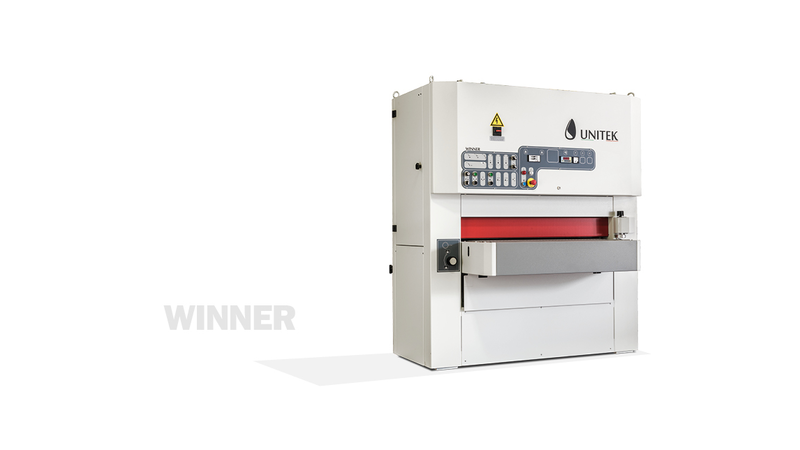 The Winner line, for medium-sized industrial woodworking businesses, is also recommended for smaller producers thanks to its user-friendly controls, low energy consumption and low maintenance needs. Its rugged construction and ability to take large-diameter rollers and long belts allow precision processing in complete safety, in accordance with EC standards. Working width: 1100.